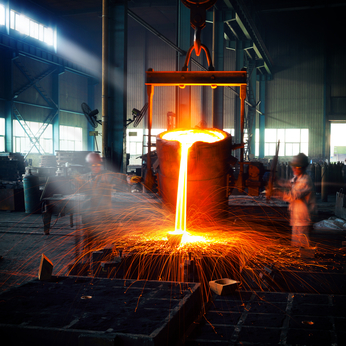 The manufacturing process of hot or cold forging involves the shaping of metal, typically done using a power hammer or die. Aluminum alloy, copper, magnesium alloy, and other special alloys can be imported from China, and OEM and ODM services are available. In-house mold designs are possible and can be completed using Pro-E 3D CAD development and software. Aluminum die castings are often used in automotive, computing, electronics, and technology industries. Rigid, durable, and lightweight, the most common aluminum alloys are A380, aluminum 413, and aluminum 383.Die castings are ISO certified and 14001 (lead free) certified.Aluminum and zinc die castings from China can be imported with in-house assistance regarding die and product design, finishing, machining and assembly. Reputable and vetted offshore manufacturers have experts on staff who will offer suggestions for product improvement before manufacturing a prototype. Metal stampings and fabrications of steel, aluminum, and other metals are available for import from China. Finishing is part of the manufacturing process, including anodizing and painting. From chain link fencing to barbed wire, stainless steel to woven mesh, wire and wire mesh products from China are available in an array of finishes and materials, including PVC coated, for use in the production of fences, furniture, carts, accessories, and much many more industrial and retail products. Brass and steel fittings for pneumatic and hydraulic applications are a popular import from China. Chains and heavy industry accessories for marine and offshore purposes, high-tensile aquaculture, and rigging are also imported in great quantities, along with CNC turned, machines, and milled parts. Walker International provides complete factory-to-door logistics, making the import of metal products from China painless and simple, whatever your field of business. Freight forwarding can be a complicated endeavor if you are unfamiliar with the intricacies of importing, but an import expert can book ocean or air freight to the United States, managing customs along the way to ensure easy and accurate delivery to your U.S. destination.As an experienced international trade management company, Walker has established relationships with reputable offshore manufacturers of metal products.